Have you heard about the Ancient City in Bangkok? 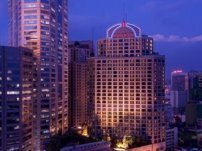 With so many things to do in Bangkok and the selection of temples and shopping malls available to visit, you could be forgiven for overlooking the delights of Muang Boran as it is known to the Thais. Located just 24 kms from Bangkok, not far from Suvarnabhumi Airport and the Erawan Museum, Muang Boran is a collection of famous buildings representative of the cultural history of each part of Thailand. The park is set on 600 rai (25 hectares or about 63 acres) and the Ancient City comprises scale replicas of the original buildings from all parts of the country. Originally, the concept of Lek Viriyaphant was to create a place of enjoyment and relaxation, but over time his focus was more on creating an open air museum for educational purposes and the park now includes over 160 separate buildings. 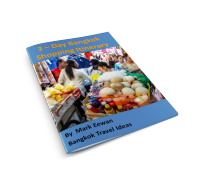 Unlike many Bangkok attractions this is not somewhere you can visit in a couple of hours, you are going to need a full day to travel around the site and even then you will not see every building. Thailand has a strong cultural heritage influenced by the countries around it in South East Asia. Buildings from the different historical periods in Thailands past are all represented on this massive site. The Ancient City is too large an area to walk around, so you will need to select a suitable transport option. If you don't mind hot weather and being out in the sun then you can rent a bicycle, this is probably not the best option for the average tourist from Europe or Northern USA. For large groups of people they have a private tram and guide that can take you around. This should work out to be less than 200 Baht each after your admission cost and the guide will make sure that you get a comprehensive tour. However the private tram is not air-conditioned, so whilst you won't be in the direct sun it will still be hot. Whether it is unbearably hot will depend upon the time of the year and where you come from. The last option is go around in a motor vehicle. Personally this is my preferred option, because you have the added advantage of cooling down between stops in the air-conditioned comfort of your vehicle and you can stay as long as you like and look at the attractions in any order. If you don't have your own vehicle then you could either use a hotel car or just arrange to have a taxi all day. 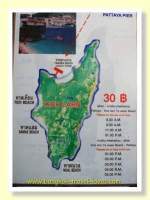 When I visited I seem to remember that they also had small golf carts for hire but this does not seem to be currently promoted on the website so call the staff on +662-323-4094-9 for confirmation before you visit if you want to check out this option and for more information. Motor Vehicle 400 Baht for foreigner and Thai (June 2014). If you need an English speaking guide for 2 hours it costs 1500 Baht. There is a little restaurant on site you can get yourself some lunch and take a rest and stock up with water or soft drinks. 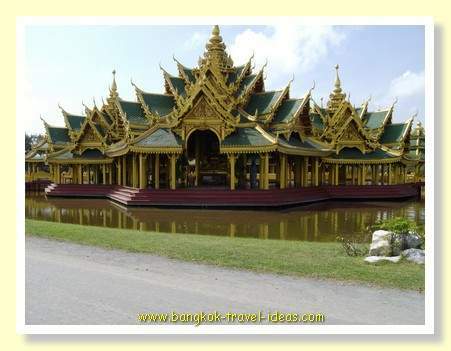 If you are compiling a list of things to do in Bangkok then make sure that you add Muang Boran to your agenda. Use the Google map below to get your driving directions or take the BTS to the Bearing station and then get a taxi. The hotel concierge can write the address down for the taxi driver for you. 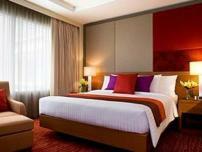 296/1, Sukhumvit Rd., Bang Pu, Muang Samut Prakan, Samut Prakan, 10270, Thailand. 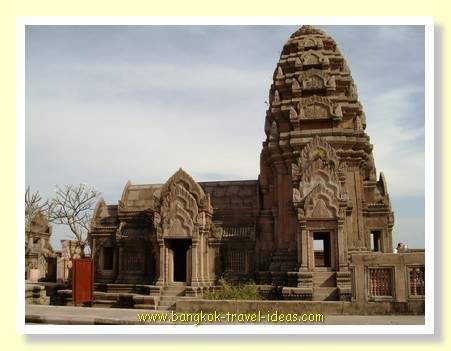 If you enjoyed the Ancient City then you may also like one of Lek Viriyaphant's other follies, called the Sanctuary of Truth located just near to Pattaya.